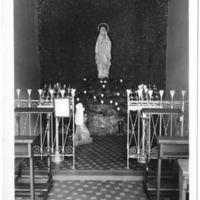 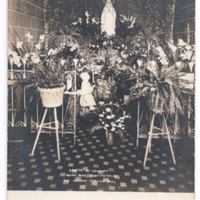 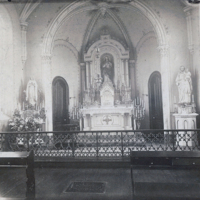 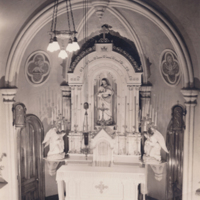 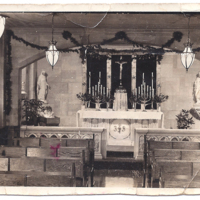 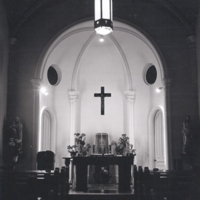 The interior of the chapel built in 1930 for the Sisters. 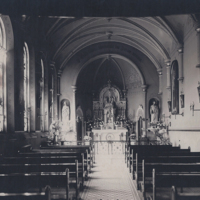 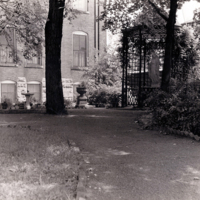 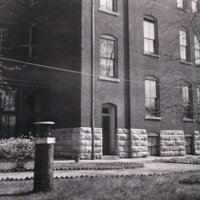 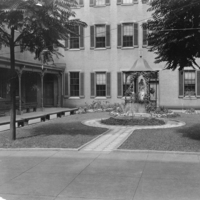 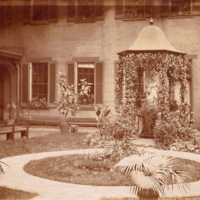 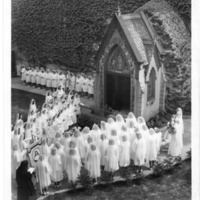 The Sisters arrived in 1925 at the Sts Joachim and Anne parish and opened the parochial school with 229 children. 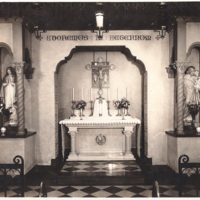 The altar used in the convent chapel by the Sisters at St Catherine of Genoa. 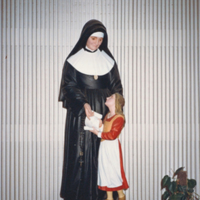 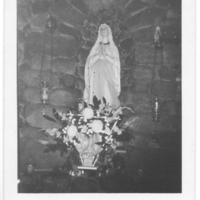 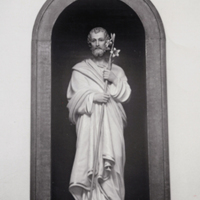 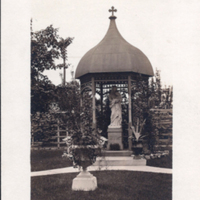 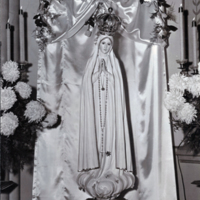 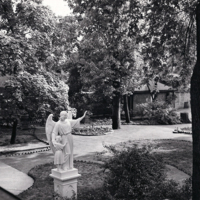 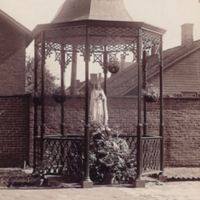 Statue of St Julie and a young girl, possibly added to the chapel oratory in 1935.